Posted on 17 March 2013 and filed under Miscellaneous. Oh, I haven’t written for so long! I have been working and making and making and working. Among other things, handbags for which I used my good friends, magnetic snaps. 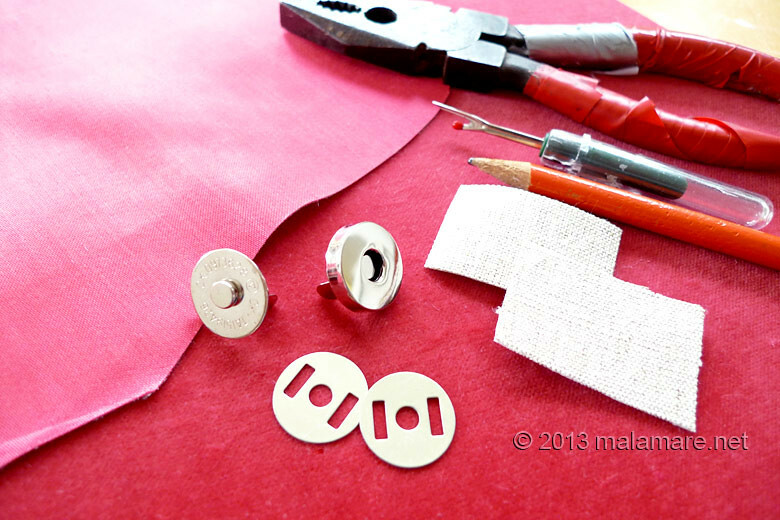 Being so, I made a photo story: tutorial on how to install magnetic snap closure. 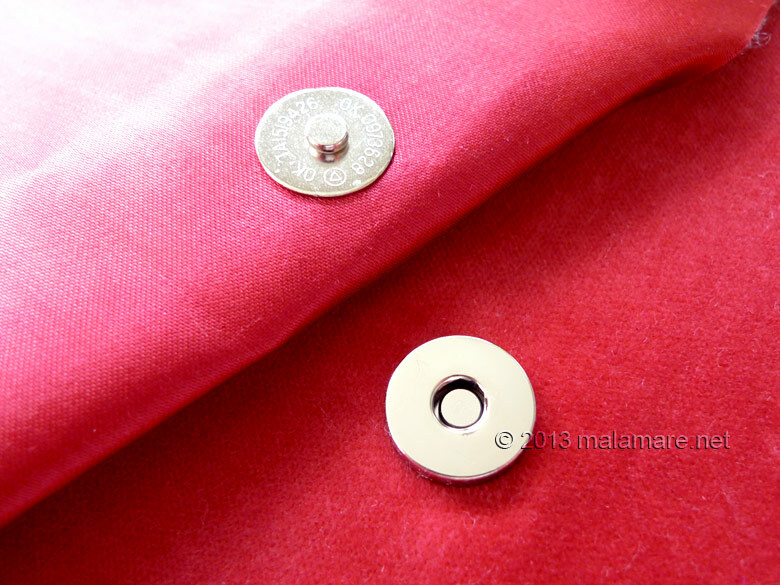 Magnetic snap set consist of one female, one male part and two washers that attach them to the fabric. Apart from them, you are going to need two small pieces of fabric strengthened with interfacing and tools: a pencil, seam ripper or small scissors and pliers. 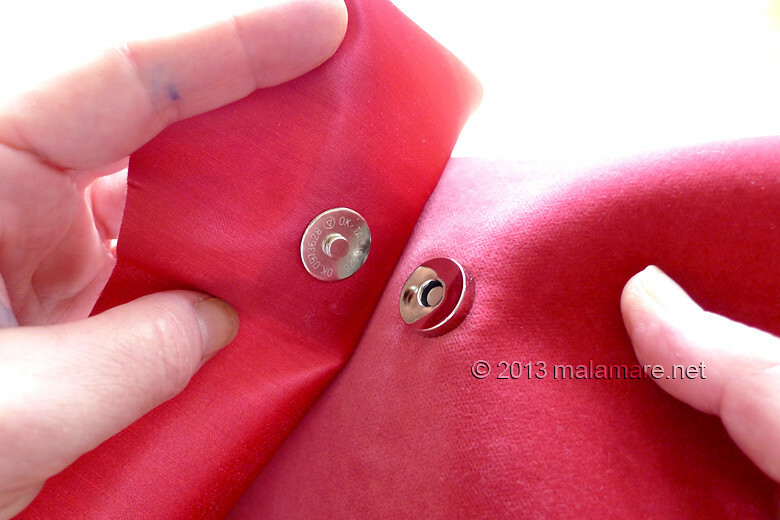 Mark the position of the slits on the back of the fabric to which you are going to attach the snaps. The distance between slits should be equal to the distance between prongs on the back of snap pieces. Cut the slits, make them 4-5 millimeters long. Do the same on the small pieces of fabric. Push one of snap pieces through the slits of the fabric, from the face of the fabric inward, so the prongs come out on the inside of the fabric. Put one of the small pieces of fabric on that – those pieces protect the main fabric. Put a washer on the top. 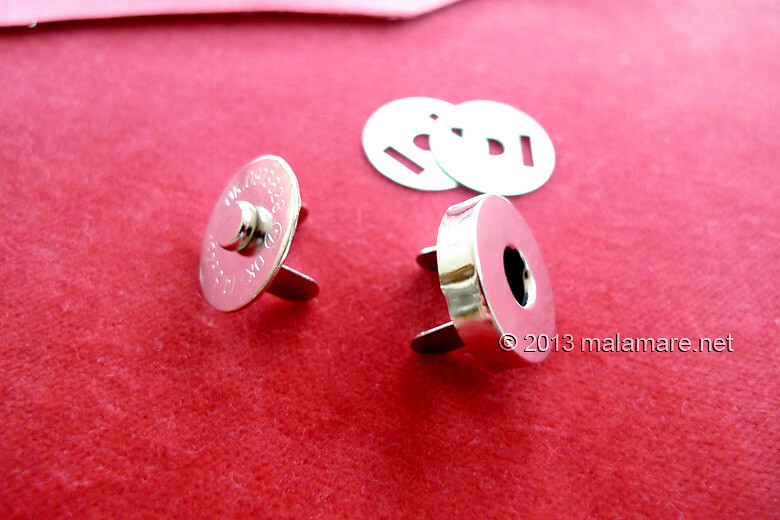 Attach the snap piece by folding the prongs inward. One, than the other. And squeeze them gently with the pliers – be careful not to scratch the metal of the snap piece on the right side of the fabric. Do the same with the other piece of the snap closure set, on the other part of the main fabric. And continue to sew you handbag or whatever you are using magnetic snap for.